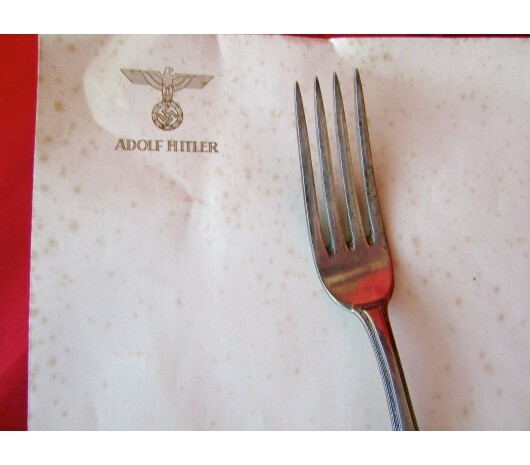 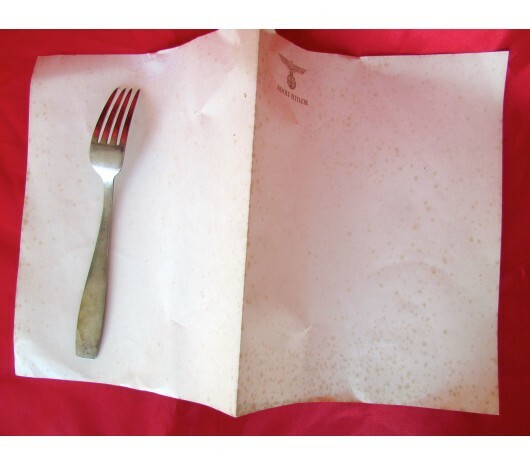 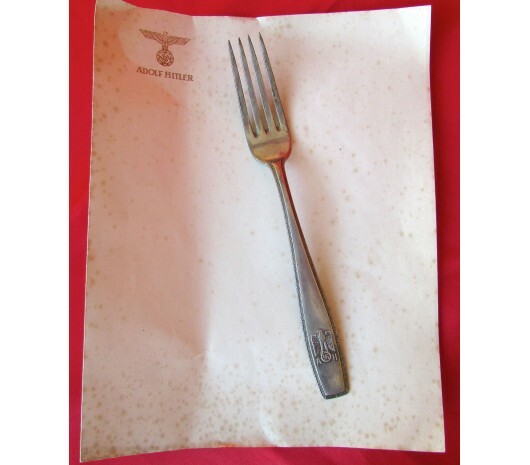 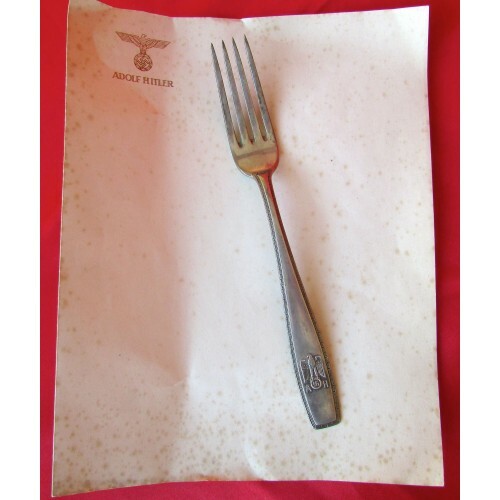 Adolf Hitler Formal Salad Fork. 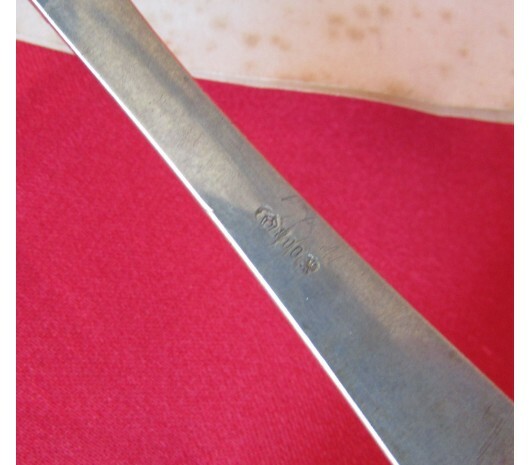 Marked "800", half moon, and eagle to reverse. 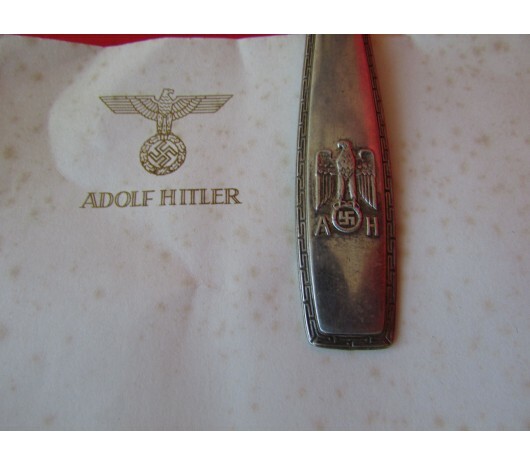 Comes with a sheet of Adolf Hitler stationary paper. 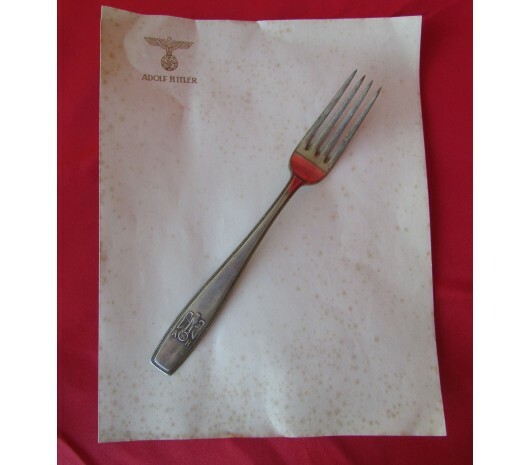 COA from Johnson Militaria included.